Imagining rows of purple flowers and the scent of lavender in the air? It’s certainly on my bucket list to visit Provence, France, for this very reason. In the meantime, I’ve found eight Michigan lavender farms where visitors can walk through beautiful fields or labyrinths. And, visiting these farms don’t require a transatlantic flight! In addition to its beauty, lavender is sought after for its medicinal properties, fragrance, and use in food and beverages. 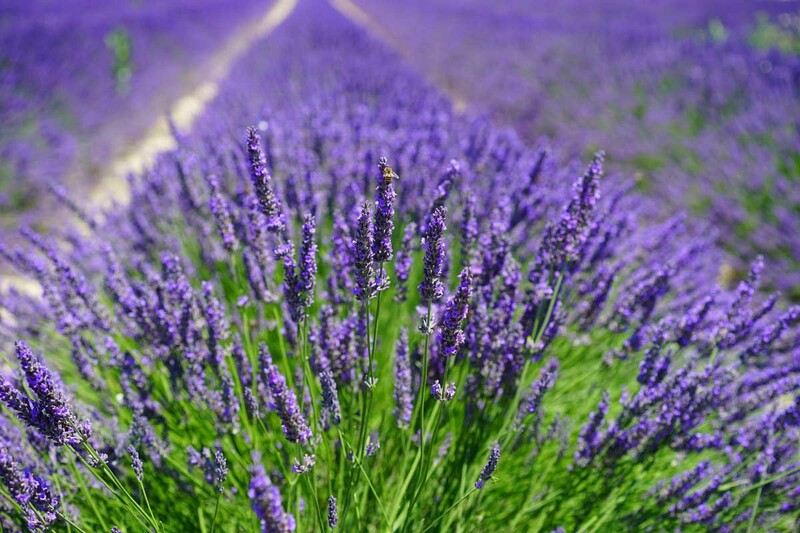 Many of these Michigan lavender farms have gift shops where visitors can purchase hand-crafted lavender products such as distilled essential oil, bath and beauty products, linen sprays, honey, tea, and lemonade. Some farms also allow you to cut your own bouquet of fresh lavender for a small fee, and many sell bundles of both fresh and dried lavender. Explore the map below to find a Michigan lavender farm to visit! The farm announced its lavender is in bloom from mid- to late July with color lasting into August. A visit to Cherry Point Farm wouldn’t be complete without wandering around the labyrinth, where something is always in bloom in the herb garden. Don’t forget to shop the market and grab a slice of homemade cherry pie! Located on Traverse City’s Old Mission Penninsula, Harbor View Lavender Farm offers tours for $10/person. Tours feature a peek into the 130-year-old barn, education about the many uses of lavender, a taste of lavender lemonade, and a 10% discount off a $15 purchase of lavender plants or products. Harbor View Nursery & Lavender Farm also has a storefront in downtown Traverse City. One of the closest lavender farms to the Detroit area, Indigo Lavender Farms is a nearly 20-acre, woman-owned family farm with 14,000 lavender plants. 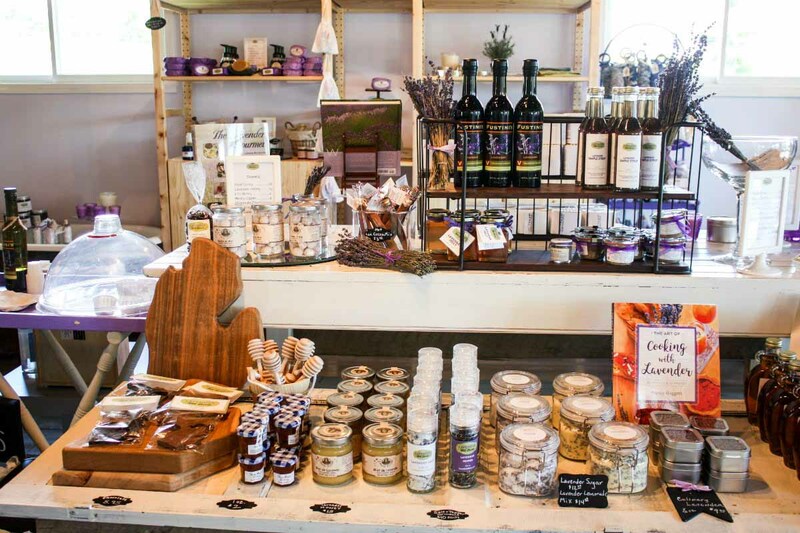 The farm sells oil, honey, chamomile tea, and a variety of bath and beauty products all made with lavender. 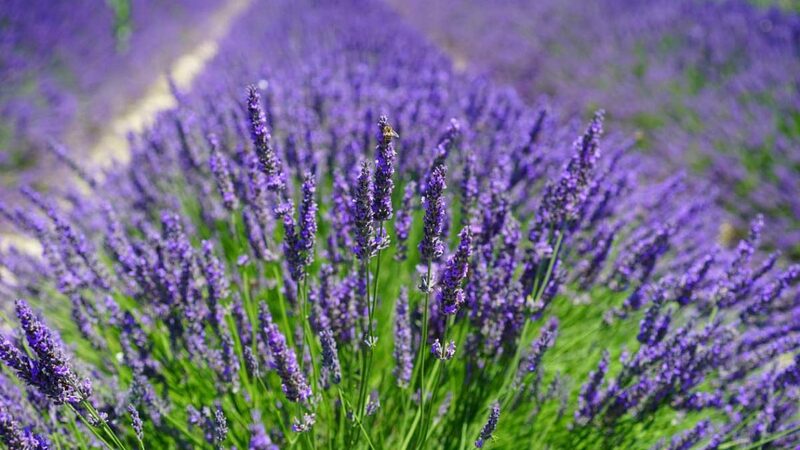 One of the largest commercial lavender farms in Michigan, Lavender Hill Farm has been open since 2003. The farm offers guided golf cart tours of the property for $4 per person. You can also meditate in the lavender labyrinth, explore 23 varieties of lavender on the farm’s 33 acres, hand cut your own bouquet, watch the bees hard at work, and visit the gift shop. Open from 10 a.m. to 5 p.m. daily May through October, the gift shop carries spa and bath products and a variety of foods made with lavender. You’ll find lavender jelly, simple syrup, cookies, beverages, balsamic vinegar, and even Moomer’s ice cream. In Berrien County in Southwest Michigan, the 1.25 acre farm has 4,000 lavender plants. Stop by the farm’s shop for farm-made lavender products, including lavender essential oil, fragrant lavender water, and lavender honey. The farm offers U-pick lavender from late June until late July or until the flowers are gone. From 10 a.m. to 4 p.m. Monday through Saturday, you can pick a bunch for $5. Scissors and twist ties will be provided. 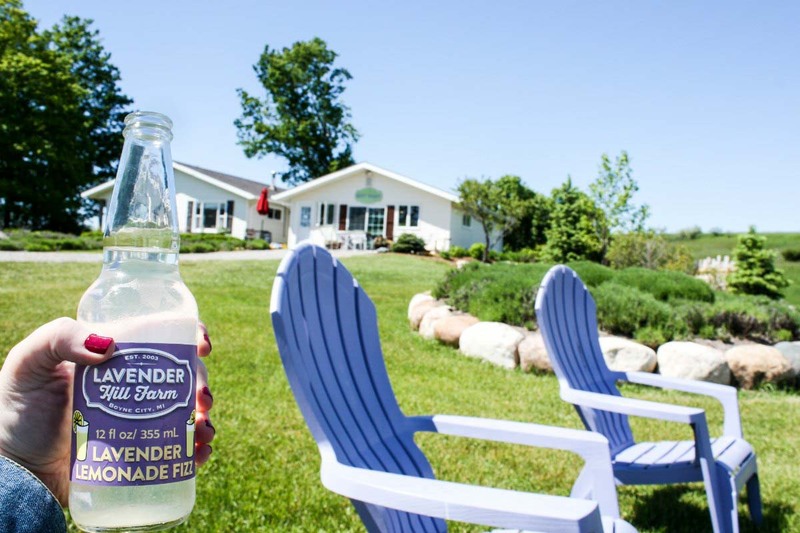 Located in Michigan’s Thumb, this certified organic lavender farm opens its fields and retail shop to the public in June and July. Where I Recommend To Stay Nearby: Caseville Beach House, Lakefront Cottage Near Harbor Beach, Harbor Beach House — Get $40 off your first Airbnb rental of $75 or more with my invitation link! The Shades of Lavender Farm, located outside of Kalamazoo in Mattawan, allows visitors to explore its lavender field and cut their own bundle. You can also purchase hand-crafted products, including candles and bath products. The farm also plans to host classes on making soap, lavender wands, lavender wreaths, food, and drink. Where I Recommend To Stay Nearby: Kara’s Kottages – Birch Bark, Driftwood, Acorn, Redwood – Get $40 off your first Airbnb stay of $75 or more with my invitation link! Visit this one acre garden packed with 825 lavender plants of seven varieties. Plus, you can explore the Japanese and rock gardens, perennials, and birch trees around the property. The farm also sells lavender honey, candles, essential oils, and bath products. Generally lavender fields in Michigan open in June with peak bloom in mid-July and color sometimes into August. Keep in mind that lavender needs sunshine and bees in order to thrive. So, when you visit these farms, make sure you have sunscreen, sunglasses, a hat, and an EpiPen if you are allergic to bees. If you have seasonal allergies, you might want to consider taking your allergy medication prior to your visit. Also, these are working farms, so wear closed-toe shoes that provide stability for walking on uneven ground. Save this post to Pinterest for future lavender farm visits! Have you been to one of these Michigan lavender farms or one in your area? Disclosure: This post contains affiliate links. If you click on one of these links and make a purchase or book your lodging, I may earn a small commission. I only recommend places where I have or would stay myself. As a member of the Amazon Affiliate Program, I earn a small commission on qualifying purchases made through links and ads I post. This is at no extra cost to you, and it helps to sustain this blog. Thank you for your continued support! Next lavender season I know where to go!! I’m too late this year! WOW Erin, these look lovely! We are heading South to the lavender fields of Provence soon from Paris where we live. I grew up in NYC and my grandma lives in Michigan (my mom grew up there). I had no idea that there were lavender fields there. Thanks for sharing! Cherry Point offers two amazing strudels…cherry which is divine, and vegetable with zucchini, onions and cheese that has been addictive for me. Yummmmmm! Pinned! Totally adding these to my bucket list. Lavender is my favorite! I just planned a trip to Cherry Point Farm andnothet sites on Michigan’s west coast. Taking the ferry from Wisconsin at Manitowoc. Can’t wait! One more day! I LOVE lavender…now I have a reason to go to Michigan! I didn’t know that Michigan had so many lavender farms. I live in the South where it’s too hot for lavender to grow but I’d love to visit a lavender farm – especially in Provence! This looks like it would be such a great time. I would love to be able to visit one day!